A leading light in the Polish metal scene, Behemoth emerged in the early 1990s with a caustic cocktail of black and death metal that was made all the more punitive by a heavy dose of religious provocation. Both sonically and socially pugilistic -- they were criminally charged by the Polish government for tearing up a bible and emblazoning the country's coat of arms on a T-shirt -- the band released their first full-length recording, 1995's Sventevith, to favorable reviews. Subsequent albums like Demigod (2004), The Apostasy (20070, The Satanist (2014), and I Loved You at Your Darkest (2018) displayed a wide musical vision that incorporated folk music, synthesizers, choirs, and orchestras, while still managing to retain their brutal, extreme metal sound. The group endured numerous lineup shifts during their career, with founding singer/guitarist Nergal being the only constant member. Behemoth were formed in 1991 (originally as a trio), and began issuing several demos shortly thereafter, the most circulated one being 1993's From the Pagan Vastlands. The same year, the band issued their debut release And the Forests Dream Eternally via the Italian independent label Entropy. Two years later, the group released its first full-length recording, Sventevith, which drew significant acclaim in the metal underground. For 1996's Grom, Behemoth expanded their sonic attack by experimenting with acoustic elements and electronics, and adding female vocalists. Released in 1997, the three-track stopgap EP Bewitching the Pomerania proved to be the first recording to feature drummer Inferno (Zbigniew Robert Promiński), who soon became a driving force (and permanent fixture) in the band. Their fifth release overall, Pandemonic Incantations, was issued a year later in 1998, as Behemoth continued to average at least one lineup change per release. 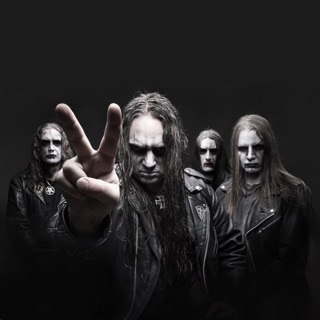 Their last release as a trio (and first for new label Avantgarde), 1999's Satanica, continued to expand the group's following among the black metal masses, as Behemoth secured supporting slots on two separate tours with leading bands of the genre: Deicide and Satyricon. Behemoth's first release of the 21st century, 2000's Thelema.6, saw the group's lineup expand to four members for the first time, as newcomers Novy (bass) and Havoc (guitar) signed on with stalwarts Nergal and Inferno. The album was the first of the group's career to receive worldwide distribution -- it was issued in the U.S. a year after its initial release -- and also featured Nergal collaborating lyrically with outsider Krzysztof Azarewicz. Behemoth embarked on their most substantial tour yet, playing shows alongside the likes of Morbid Angel and Nile, and even launched a few headlining tours on their own. In 2002, a home video/DVD was issued (recorded in their homeland of Poland), The Art of Rebellion: Live. Zos Kia Cultus followed a year later and was supported by a world tour including, for the first time, the United States. Demigod landed at the beginning of 2004, a signal album that marked their first with bassist Orion (Tomasz Wróblewski). Behemoth's eighth full-length, The Apostasy, arrived in 2007, and added piano and a horn section to their already considerable arsenal. Ezkaton was an EP released in 2008, and featured a handful of studio cuts along with some live tracks. It was followed in 2009 by the full-length Evangelion, which earned positive reviews and chart success across Europe and America. The band's momentum paused briefly in 2010, when Nergal received a diagnosis of leukemia in the spring and spent almost a year recovering. A stopgap 2011 compilation, Abyssus Abyssum Invocat, combined two EPs from the band, 2004's Conjuration and 2006's Slaves Shall Serve.